But as January rolled around, so did the time to renew my hosting and domain. I pay yearly (not sure why but it gets it over and done with) and I contemplated not renewing it. To move on. It had been a fun three years or so of attempting to blog but was I ready to finally put the nail in the coffin and try to commit to the gym more than once a week? Or finally join a book club? I love blogging – and I think it two my almost-two-month hiatus to see that. I didn’t miss the added pressure I was piling on myself for sure. To be seen, to be read, to be noticed. But I did miss sitting down with a can of Diet Coke on a weeknight to type up an idea. Or typing on a train. Or typing in the library when I was supposed to be studying. My un-planned hiatus has done a number on my stats and I did feel a little nervous when I pressed publish on my first book of 2019. Would people even remember what The Monday Project was?! But it was a refreshing break for my brain. I didn’t worry about collaborations, making money, growing my views when I was away and none of those issues were at the forefront of my mind when I pressed publish on my return. I just wanted to share what I had written. 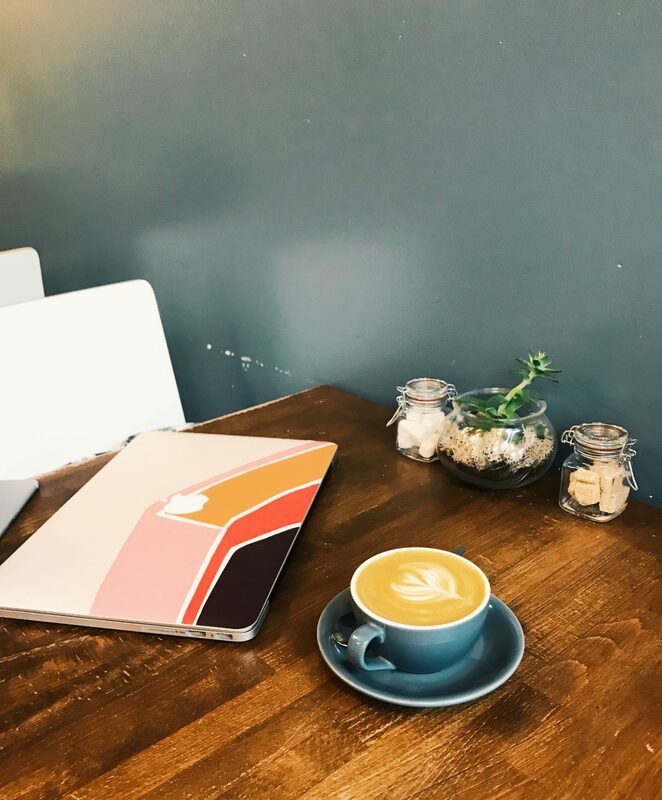 And that is where blogging is for – a wish to write for myself as much as possible and maybe it will be useful or interesting or resonating for someone else. 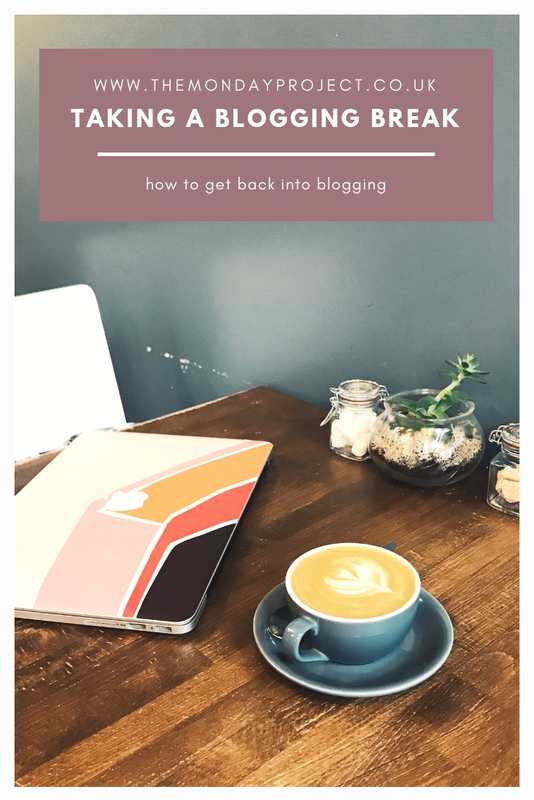 A few things helped me get my confidence back and be ready to tip my toe back into the blogging world when I was scribbling down ideas in my notebook but not quite ready to press publish on anything just yet. Making a few pals in Scottish and Glasgow blogging circles is one of the best things to come out of my blog. I find Charlotte, Lis, Elanor, Bekah, Alisha and Hayley so inspirational – they all work towards goal and have a way with words to create interesting content that I care about. Being able to see these women in real life and discuss concerns which they also understand makes all the difference in what is sometimes a competitive and nasty environment. Blogging workshops are another great way to get out there and meet local bloggers in your area. 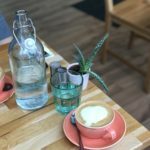 My friend Charlotte runs Blog & Beyond workshops in a few cities (and is gearing up for a bumper Roadshow) and I went to her latest, Creating Killer Content, in Glasgow a few weekends ago. Just being in the room with other bloggers discussing content dilemmas was inspiring and I came home with plenty of notes to look over. A week later I posted on my blog again! I am pretty obsessed with newsletters: I’ll subscribe to anything that tickles my fancy to begin with. I do hope to start my own newsletter venture in the next couple of months (you heard it here first, please subscribe when the time comes). Two newsletters which really stand out for me at the moment are blogging tips from Blog & Beyond, a fortnightly newsletter which focuses on a topic each edition, and The Bloglancer email from Jenna who writes The Bloglancer – a whole host of interesting and useful posts about being a blogger and monetising it. 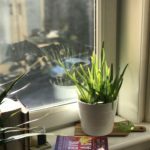 The Bloglancer usually comes Sunday or Monday and has Jenna’s latest posts, other useful tips and sometimes sponsored or gifted opportunities within. I am unsure of what I did before I discovered podcasts. I listen to them every single day for hours: wherever I walk somewhere (I walk everywhere), when studying, when doing chores, when in the shower, when I’m making dinner. When I’m not listening to true crime, my favourite podcasts to listen to there business and creativity based. During my little blog hiatus and in the last couple of weeks whilst I’ve been finding my feet again, I’ve been listening to a few as I love hearing inspirational stories, tips from those who live creatively for a living and how it all started for someone else. My current favourites are The Independent Girls Podcast, The Blogtacular Podcast and The One Girl Band Podcast. Next Post Introducing the Monday Letters: a new newsletter concept from The Monday Project.